…I just don’t really have time for my blog any more. Nor anything much that is post-worthy! I’m still writing for the Art of Punk series on Colin’s Punk Rock World (a post about logo designs was published today). 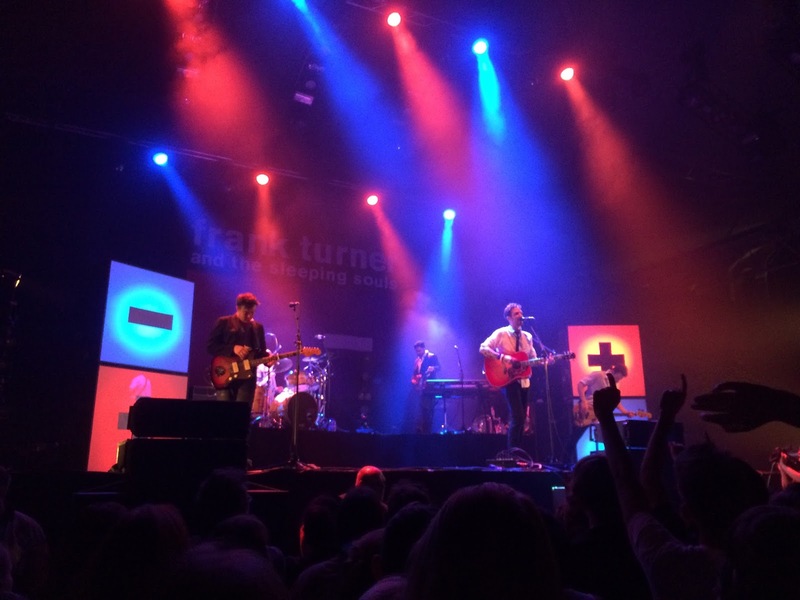 I also write reviews sometimes, such as the lengthy gig review for Frank Turner and the Sleeping Souls at Alexandra Palace that was posted last week. 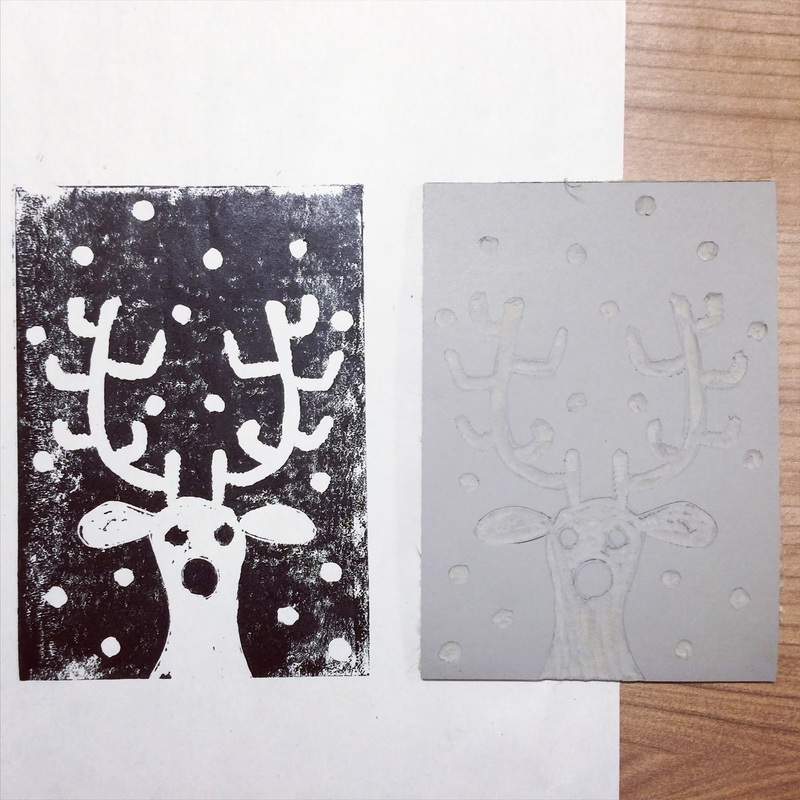 In more visually creative news, I linoprint-ed some Christmas cards the other weekend. 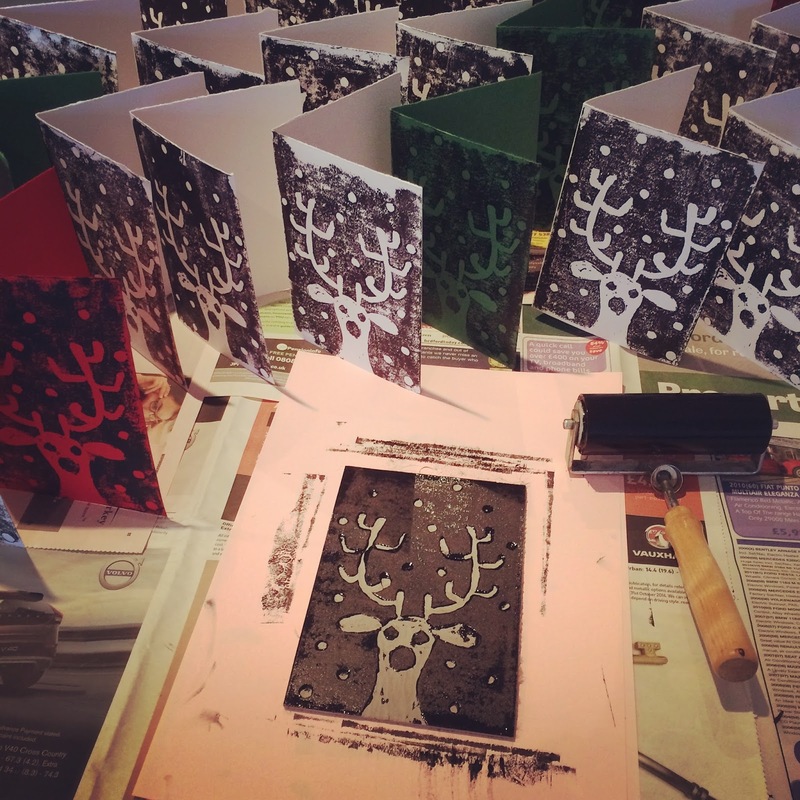 You may or may not remember my designs from last year – check them out here too. I think I like this year’s little reindeer more than last year’s design.